Currently: Executive Learning Officer of the Navy. 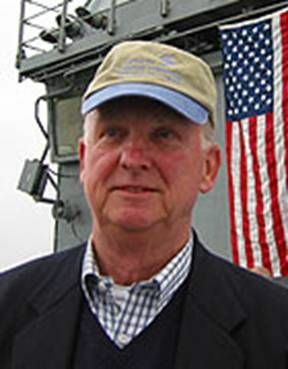 Phil Quast is the Executive Learning Officer of the Navy and founding Chairholder of the Admiral Jeremy Boorda Chair at the Naval Postgraduate School in Monterey, CA. Phil retired from the Navy as a Vice Admiral, in 1997, following 36 years of active service. His naval career included numerous command and leadership positions, operationally and in Washington. He served two tours in Vietnam, one being highlighted by an in country tour as the Commander of River Patrol Boats (PBR’s). He additionally commanded two ships, a guided missile destroyer and as the Commanding Captain of the Navy’s first vertical-launch, Tomahawk Aegis Cruiser. Phil commanded the Missouri Battleship Battle Group during the US flagged tanker war in the Persian Gulf, and the Nimitz Carrier Battle Group during Desert Storm. His tours ashore were highlighted by eight years in senior managerial positions in Washington, DC. In the area of manpower/personnel, Phil developed personnel programs, budgeted the Manpower/Personnel Accounts for the Navy and was responsible for the assignment of uniformed personnel within the Naval Service. As the Director of Surface Warfare, he oversaw the development of ship and weapons systems for the surface fleet and was a principal architect in the downsizing of surface naval forces in the post-cold war period. As Commander, Military Sealift Command, he commanded a global organization of 7000 employees (90% civilian) with a multi-billion dollar budget. This assignment provided him the opportunity to transform the command and effect organizational change designed to increase efficiencies and improve customer services. Privatization, commercialization, process analysis and the incorporation of best business practices were all thoroughly integrated in the “Reinvention of MSC”. His military service was recognized by numerous decorations and awards. The Defense Distinguished Service Medal, three Legion of Merits and two Bronze Star (combat V’s) highlighted his combat service. While in command of Benjamin Stoddert, Phil was recognized by his fellow Commanding Officers as the Pacific Fleet’s first recipient of the Admiral James Stockdale Leadership Award, an award recognizing leadership proficiency in command at sea, as determined by his peers. In recognition of his transformation efforts as Commander of the Military Sealift Command, he was awarded the National Defense Transportation Association’s Leadership Award for Transportation in 1996. In February, 2002, Phil was appointed as the Navy’s first Executive Learning Officer (ELO). As ELO, he is responsible for developing the executive community of the Navy. In this capacity he sponsors developmental and executive educational opportunities for the Navy’s executive leadership, both uniformed and civilian.